Customer Voice For Recruiters is the smart approach to collect feedback from your clients and candidates in a consistent, systemised way. 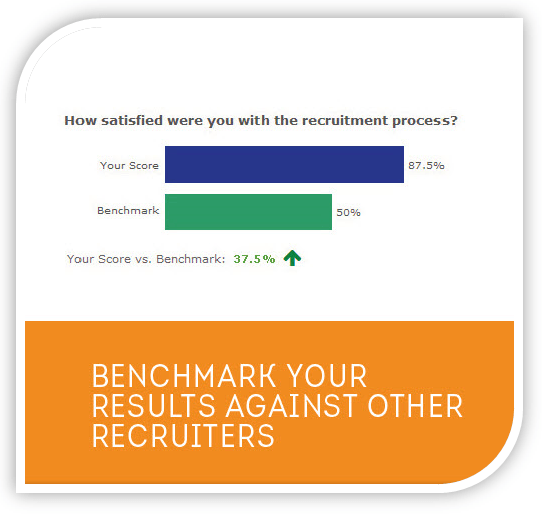 Your feedback will be fully benchmarked against the results received by other Australian recruiters. Testimonial collection and subtle cross selling of your complementary services is seamlessly integrated into your survey. The value is clear and measurable, and the return on investment is immediate. Help your business stay relevant, in sync with customer sentiment and on track. You receive a proven and professional online feedback solution specifically tailored to the needs of recruiters. Our recruiter benchmark module enables you to easily compare where you are ahead of the pack and falling behind from other Australian recruiters when it comes to client and candidate satisfaction on the key areas of your business. Customer Voice For Recruiters uses questionnaires that are written specifically for recruiters, and vetted by recruitment industry veterans. Candidate feedback – temporary/contractor applicants. Non benchmarked custom questions can also be added if desired. Your feedback system will typically pay for itself within 2mths of launch via the option to integrate cross and up-sell ‘enquiry’ questions, and the option for your happy customers to refer you. These options, if included in your survey, can assist to generate immediate additional revenue opportunities for your business. You also receive access to our Customer Survey Widget that allows you to build trust and reinforce credibility on your website by displaying your cumulative customer satisfaction score in real time once it reaches a minimum score threshold. All you need to do is paste one snippet of code to your site. Your client and candidate feedback can be filtered by consultant name. This gives you the ability to use feedback about your consultants as a proactive performance improvement tool. Be instantly alerted to positive performance (to share with your team and regularly reinforce desired behaviours), and potential problems (for you to address before your customers become disgruntled and look elsewhere). Research shows 82-95% of unhappy customers will come back if impressed with your win back efforts and if you act in a timely fashion1. But if you don’t have a regular tracking system in place to give your customers a voice, you’ll never know in enough time to do something about any issues that may arise. You will be assigned a dedicated Project manager who is a proven online research professional. Their role is to make the set-up and launch of your surveys simple and seamless. They will set-up your survey and action alerts, brand your invites and questionnaire, provide access to your reports, and be there for support via phone or email if you ever need assistance. Your feedback system will be powered by PeoplePulse – a feature rich mobile optimised survey solution used by 1000+ organisations around Australia and NZ such as the Australian Bureau of Statistics and Commonwealth Bank. PeoplePulse is hosted locally, and fully compliant with the Australian and NZ Privacy Act. The system sits independent of your internal systems so the set-up of your surveys is quick and easy. All you need is a simple spreadsheet that can be uploaded with the names and emails of the customers you want to survey. 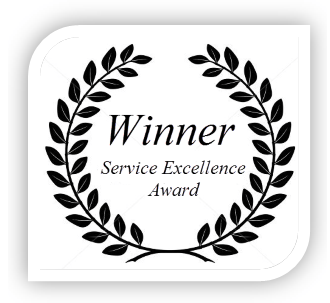 Customer Voice for Recruiters clients that have a minimum of 50 customer responses per year will automatically be entered for consideration in our end of year benchmarked ‘Annual Service Excellence Awards’ for Recruiters. Award winners will receive a framed certificate, Service Excellence logo for placement on their website and inclusion in other marketing materials and tender documents. Media releases will also be issued to announce award winners. Add real context to your satisfaction scores by seeing how you compare to other local recruiters to get a true read on how you are perceived relative to the rest of the recruitment industry. PeoplePulse’s Heat Maps are a great visual way to identify areas of your recruitment efforts that need work (red) and areas that are going well (green). Our Project Managers have extensive experience in the set up and running of recruitment feedback solutions. We make it easy for you to get set up in no time. Utilise our proven Candidate & Hiring Manager survey templates that have been vetted by industry experts. 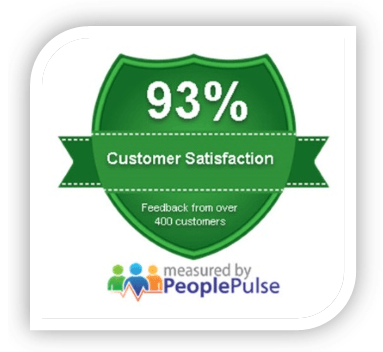 At PeoplePulse we combine the very best in online survey software and reporting, with localised benchmark data, and your own dedicated Project & Account Manager. This combination of exceptional software and unmatched support & advice works to ensure that your recruitment survey is set up professionally without fuss, and that ultimately your survey delivers you the insight you need to make better business decisions. (* Not to mention that to date we’ve helped more than 1,000 other organisations implement first class survey solutions). We look forward to the opportunity to assist you too. Quinntessential bought a whole new level of client interaction to Recruitment Central. We were quickly able to drill down into the areas where we weren’t delivering effective service to our clients. The survey system enabled our consultants to identify areas that needed improving and therefore assisted in developing deeper client relationships as they have been able to ascertain their specific service requirements via feedback. If you are looking to improve your client experience and really offer the next level of service this system is a very easy way to identify client requirements. Our Project Manager has been fantastic. Happy to help us even when we have asked for small changes to the survey and filters. She is very informative and able to help us problem solve solutions which has been great.